RamaDBK is an one-stop car shop with commercial and non-commercial vehicles. 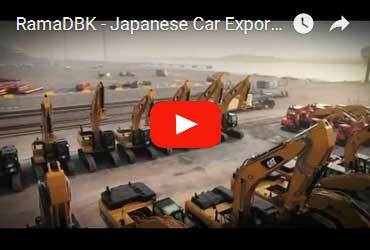 As a world renowned Japanese car exporter we pride ourselves for providing a variety of services, including the purchasing, sales, export, and distribution of a wide variety of quality Japanese New and Used Cars and car parts from Japan. RamaDBK was one of the first companies in Japan to introduce the selling of Japan New and Used Cars on the Internet. Dear valued customers! All payments should be paid to RamaDBK Ltd accounts only, as stated in our web-page. RamaDBK Ltd will not be liable for any payments made to any accounts not listed in our website.